JAY-Z's streaming company, TIDAL, has announced that it has officially partnered with Governor Cuomo's Empire State Relief and Recovery Effort, and will be filling a 200,000-pound cargo plane full of supplies to help aid hurricane victims in Puerto Rico. The company is also calling on the support of others, asking for those looking to get involved to drop off much-needed supplies, such as batteries, flashlights, portable lanterns, diapers, baby wipes, water and feminine hygiene products. Per TIDAL, those in New York state can visit one of 19 drop-off locations, with monetary donations also being accepted at TIDAL.com/PuertoRico. The plane will take off on Oct. 7, with donations being collected until Oct. 5. 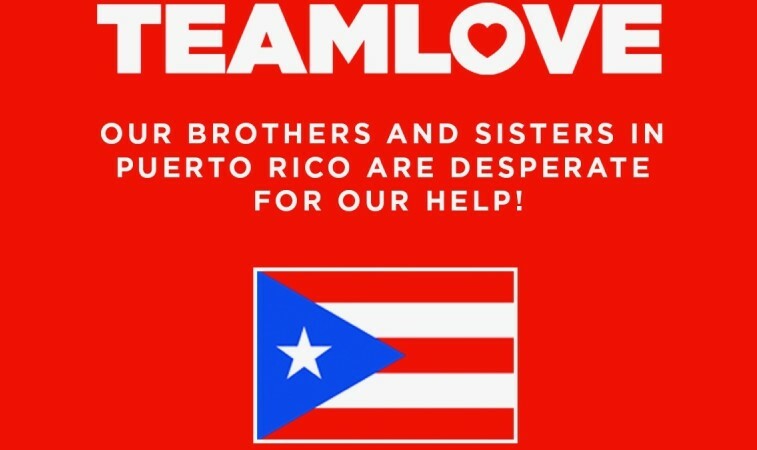 Several celebrities, including Rihanna and Cardi B, have been utilizing their platforms to continue raising money and supplies for the areas affected by recent hurricanes, Harvey, Irma and Maria, respectively. "My heart goes out to every single individual that has suffered as a result of this Hurricane," Fat Joe shared, promoting the new initiative. "Watching from the sidelines has been heartbreaking - let's fill that plane and help our brothers and sisters! Even the smallest contribution will go a long way." The damage from Hurricane Maria in Puerto Rico has resulted in a devastating humanitarian crisis for the U.S. territory, with many criticizing Donald Trump for his lack of concern regarding coming to the aid of the hurricane-ravaged territory. Earlier today, the president finally decided to take action, officially waiving the Jones Act which will temporarily allow American seaships to bring supplies to the territory at less of a financial burden. For more information on TIDAL's hurricane relief efforts, including the upcoming TIDAL X benefit concert, please visit TIDAL.com/PuertoRico.